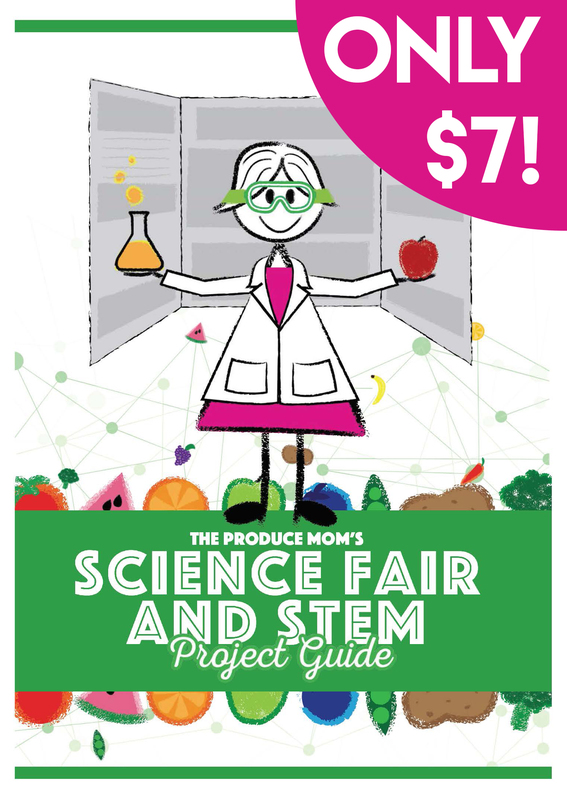 Brownies may never be a health food *sigh* but these brownies contain a secret veggie that makes them more nutritious than most! The days are getting longer and hotter… time for a cool treat to beat the summer heat! These Berry Parfait Popsicles will do the trick. 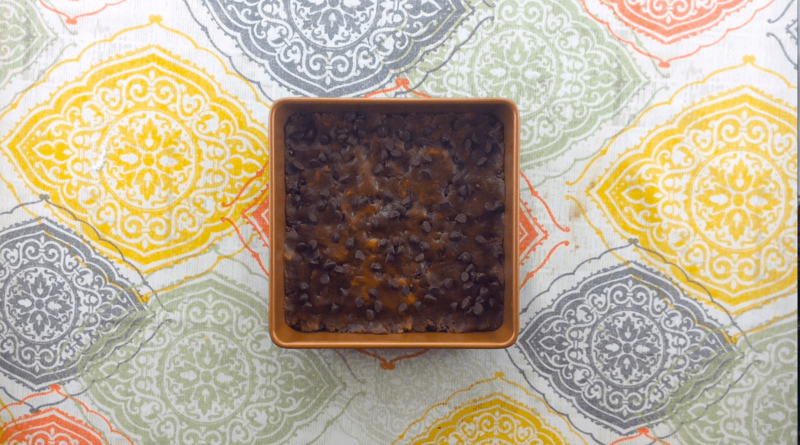 Made with just 6 simple ingredients, they are a breeze to make. Enjoy a slice of summer! Watermelon topped decadently with a cream cheese fruit dip, berries, kiwi, and mint. 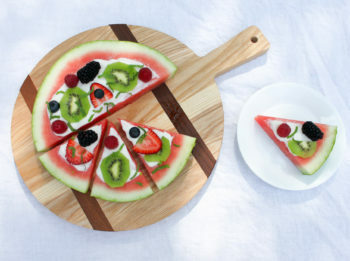 Everyone will flip for this Watermelon Pizza recipe! 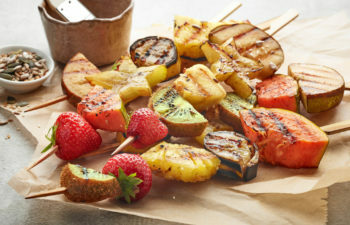 Grilled Fruit Kabobs will be the star of your next cookout! Grilling brings out the natural sugars in fruit, making for an intensely sweet treat. 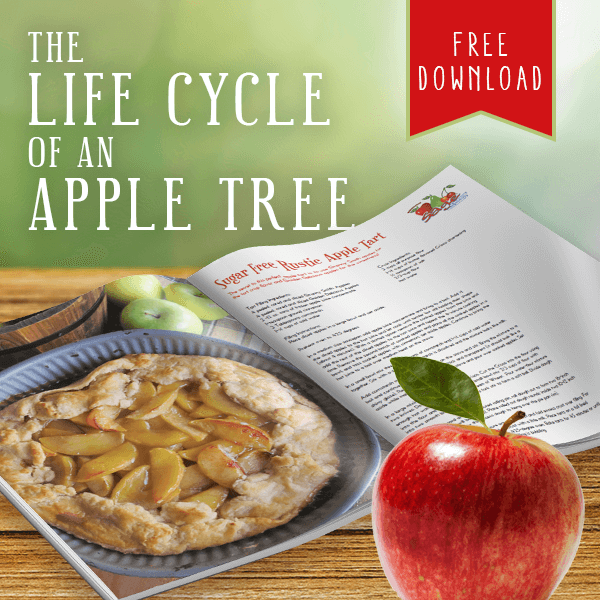 Be sure to follow these tips for grilling fruit. An easy Easter dessert recipe that’s almost too pretty to eat! 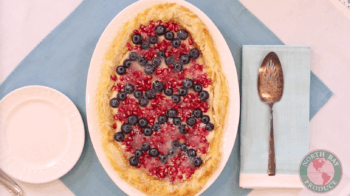 Blueberry and Pomegranate Tart is yummy, festive, and can be made in just 30 minutes. 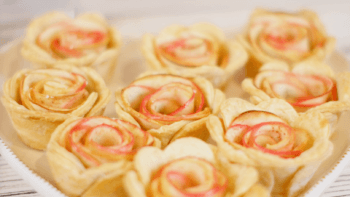 Treat your sweetie to a dozen apple roses! These Pink Lady® Sweetie Pies look intricate but don’t let that intimidate you. 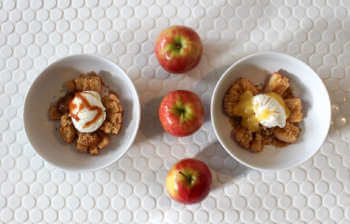 Even novice bakers can pull off this impressive-looking dessert. 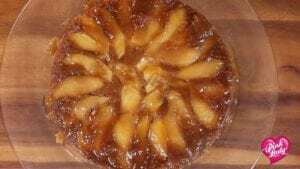 Say hello to your new favorite dessert, Upside Down Apple Cake. 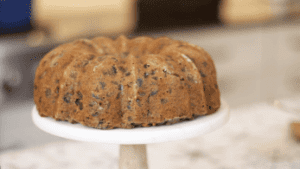 Trust us, once your family gets a taste of this cake, they’ll be asking for it all the time. What makes a taco dinner even better? MORE TACOS! 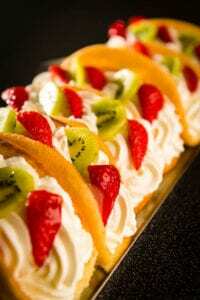 Cinco de Mayo is right around the corner and we have the ultimate dessert taco recipe to share with you.